I was working on reducing my electricity bill. I realised that all the gear in my Hi-Fi cabinet was an “energy vampire”, drawing a lot of standby power when it wasn’t turned on. 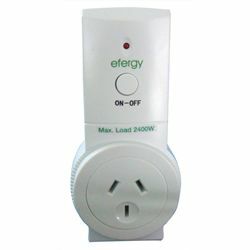 The Efergy Remote Controlled Power Switch happened to be advertised on special that day, so I ordered that product to control the 6-way power board that my Hi-Fi equipment is connected to, eliminating the stand by power usage. Well, that was the original reason. I came up with many more (see below). If you have a device or appliance with a manual on/off switch, you can plug it into a receiver to remotely activate or deactivate it. This may be convenient if you don’t want to get up, or if the power switch is located in an awkward place, e.g. under a bed or table, or behind a cabinet. I personally find that the more steps I need to do something, the less likely I am to do it. Power adapters (called plug packs and wall warts) and chargers can draw power (e.g. mobile phone, digital camera, battery chargers), even when nothing is connected. This is due to inherent inefficiencies and energy losses in linear and switch-mode regulator circuits. Devices that consume excessive standby power are often nicknamed ‘energy vampires’. Individually, they might not consume much, but if you have a number of these devices connected 24 hours a day, over the course of a year they can add a significant amount to your power bill – an extra 10% is not uncommon. Each receiver has a mains plug on one side and a mains outlet on the other side. 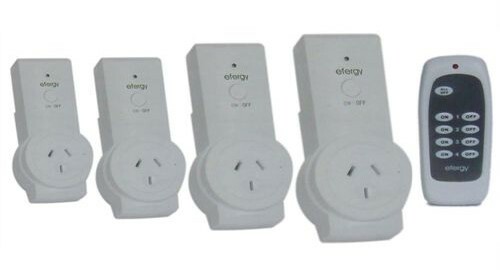 You can either plug a single mains device into the receiver’s outlet, or you can plug a power board into it, to control all connected devices at once. There is a push-button at the top. This is a manual on-off switch, so that you can control the receiver without the remote by briefly pressing this button. The LED indicator at the top is extinguished when power is set to off, and fully lit when power is set to on. If you hold the push button down for a few seconds, you will force the receiver re-enter learning mode. In this case, the LED will flash slowly. See the tips below for more info. At the top left of the remote is an “ALL OFF” button. When this is pressed, it will send the off signal on all four channels. I guess this may be useful for an emergency shutdown, or to ensure that you have turned everything off. NOTE: Make sure that you do not hold down the “ALL OFF” button longer than necessary. If the “ALL OFF” button is held down for a few seconds, the remote will randomly reassign the codes used for each of the four channels. You will then have to reprogram the receivers to relearn these new codes. The only reason why you would want to do this is if you have several remote controls, each controlling a separate group of four receivers, and you want to make sure that their channels do not clash and interfere with each other. These tips may also be useful for other brands of remote controlled power switches that operate in a similar way. 1. To force a receiver to re-enter learning mode, hold down the push button until the red indicator LED starts flashing slowly. 2. On the remote control, press the “OFF” or the “ON” button for the channel number that you want the receiver to respond to. The indicator LED will then flash quickly for a few seconds to indicate that learning has been completed. You might wish to do this so that you can control multiple lamps around your home with a single button. 1. Perform step 1 in the above procedure on “Re-entering Learning Mode” on all the receivers you wish to associate with that channel, and then perform step 2. 2. Confirm that they all have been successfully programmed by checking the indicator LED and by testing with the control. As mentioned before, each remote control can control 4 receivers. However, you can have each remote control controlling a separate set of four receivers. For example, you could have a separate remote control and four receivers for each room in your home, say one for the living room and the other for your entertainment room. Alternatively, you could have one remote control operating all your lights & lamps, and other operating other electrical appliances. This is what I have in my own home. 1. Hold down the “ALL OFF” button for a few seconds. 2. Test all your installed receivers to confirm that they do NOT respond to the remote control. If they do, repeat step 1. 3. Repeat the learning procedure on all receivers that you want to control using this remote. I used my Dymo Letratag labelling machine to print labels for my remotes to avoid confusion about what button controls what device. If you cut power to the Efergy brand receivers, they will forget the channel that they were previously programmed to respond to and will enter learning mode when power is restored. You will see this as the red indicator LED flashing slowly. The receiver will then program itself to respond to the first signal it receives. This means that if you had a temporary blackout while you were away from home, and then come back, all your receivers will learn the first button you attempt to press. You could then find that all of your appliances might automatically turn on at once! I discovered by accident that the receivers could learn to respond to my garage remote control, as it transmits on the same frequency. That is bad. The lesson is to ensure that you do not accidentally leave any receivers in learning mode, so that they don’t inadvertently learn to respond to other RF remotes belonging to you or your next-door neighbour. Most remote controlled power switches on the market use radio frequencies (RF). 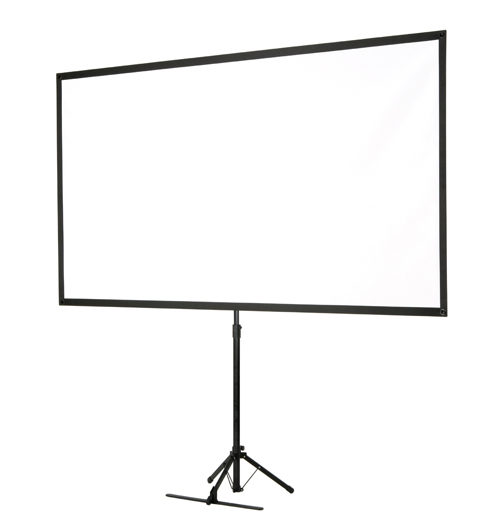 You might also find brands that use Infra-red light instead of RF. 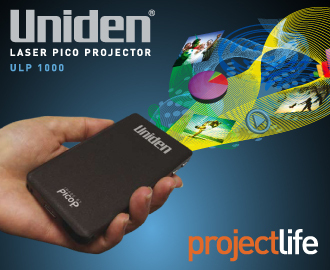 On the negative side, Infrared devices require line-of-sight between the remote and receiver to operate reliably. 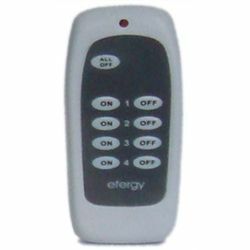 On the positive side, Infrared remote controls can be learned by those Universal programmable learning remotes, like the Logitech Harmony series, or the Marmitek EasyTouch 35. This minimises the number of remote controls you need to keep around your home or office. I want to buy those remote controlled devices . what do i have to do for that . I am a citizen of nepal and sell those in my country . If you see a device that you like on eBay, create an eBay account and a Paypal account. Win the auction, and get the seller to ship it to your home. If an eBay seller does not ship to your country, make a friend in the country that the seller is located in and get them to receive the goods on your behalf. Alternatively, use one of those online mail forwarding services like ComGateway or VPost. @bruce: I bought a device at Bunnings Hardware that has a transmitter looking very similar to a normal light switch with mountings to just put it on the wall. The receiver did not have “learning mode” but it did have a tiny switch you can change with a screwdriver to select different ID codes. It was RF and on the downside the transmitter uses those annoying mini 12v batteries that are expensive and hard to get. I was hoping to find some easy way to make a PC transmit those codes, by adapting the transmitter somehow. Does anyone know how to do it? The receiver units are reasonably cheap, and very easy to use. I think it would be cool having the PC switch on and off devices around the house. There are things like C-bus but they are big and complex. @Tel: X10 home automation hardware is probably the cheapest way of controlling hardwired lights and mains appliances from a PC. This operates by sending signals over the power cables.